Please Read: Not Compatible with Newest Late Macbook 2016 Version which is USB C Thunderbot instead. Why Choose J&D Tech? 1. The J&D Tech means high-quality products for reasonable prices. Our products are stylishly designed and produced with care to ensure your daily needs. Smooth coating on high quality polycarbonate. 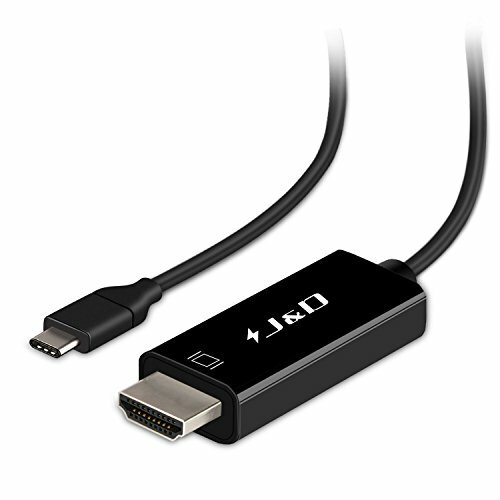 Compatible with Thunderbolt 3 in Macbook/Macbook Pro 2016 or later version, Support 4K resolution 30 Hz. J&D Tech is the ONLY authorized seller for J&D Cables. If you have any questions about this product by J&D, contact us by completing and submitting the form below. If you are looking for a specif part number, please include it with your message.